Different salmon species are abundant throughout the summer. The best overlaps take place from mid to late July. 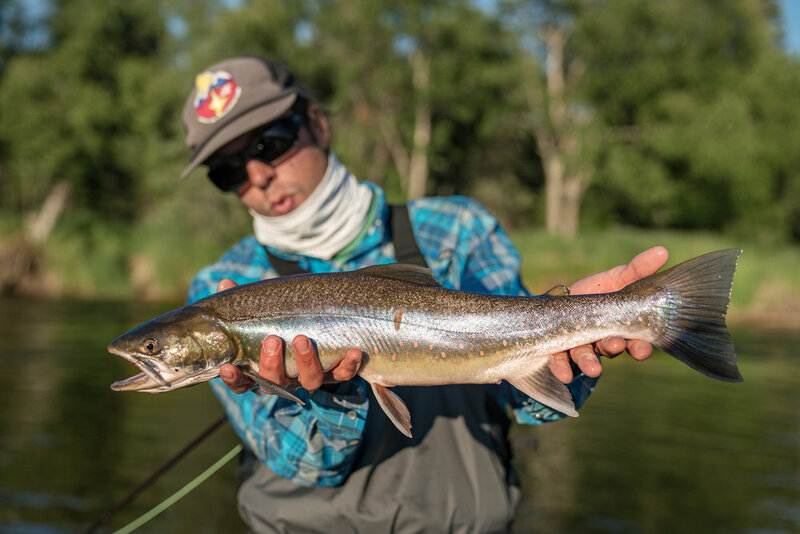 Trophy Rainbows, Arctic Grayling, Northern Pike, Arctic Char/Dolly Varden and Lake Trout are a cast away all season long. The most plentiful salmon species in our area. Best fishing is late June through early August. The most aggressive species, Cohos are quick to strike flies, streamers and spoons. Best fishing is early August through the end of the season. The largest of the salmon species always put up a good fight. 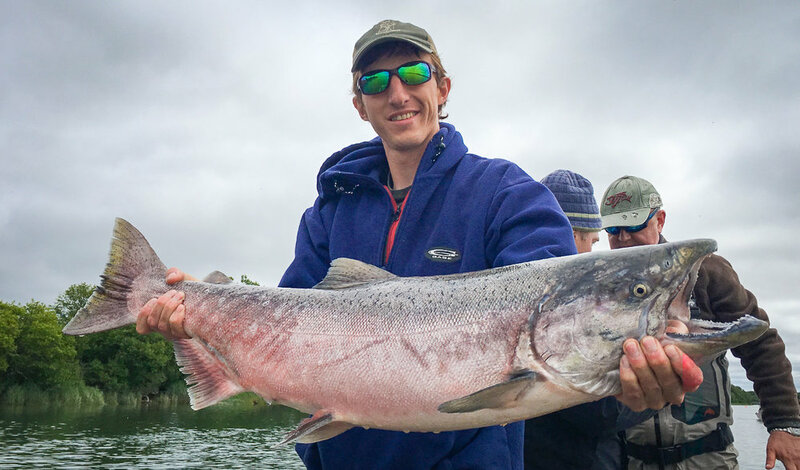 Best fishing for kings is from mid June through late July. Aggressive and fun to target with flies or gear. Best fishing is mid July through mid August. Full of endurance and easy to catch early July through mid August.